SEM utilise industry leading products & technology to ensure the performance and longevity of your solar system. Offering great value for money, our experts will be able to advise you on the best system for you. We also offer great finance options where your repayments are similar to what you make from your solar system. Our experience and diverse range of products coupled with outstanding customer service and support allows you to sit back, relax and enjoy the comfortable process of your new solar installation. I don't typically write reviews for businesses but the service that SEM Brisbane have provided me has been so exceptional that I felt the need to let everyone know! In my initial stages of looking at having a solar system installed at my home, I started getting frustrated at the enormous amount of shady businesses that are out there, the more reviews you read, the more businesses that appear to be out there that don't follow through on their promises and don't back themselves or the product they are installing. SEM were an absolute breath of fresh air and were a pleasure to deal with from beginning to end. Every communication was dealt with promptly and in a professional manner. The installation team were reliable and arrived right on time. They too were professional and I felt as though I was dealing with an honest and ethical company - something that can't be said for many other solar installers. They will be installed this month. Very happy with Solar Quotes and SEM Group service. Committing to PV panel was not easy. So many things that we need to consider: size of the system, type of panel and inverter, which provider is the best one, etc. 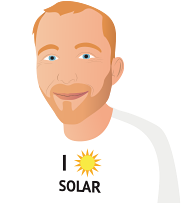 Solar quotes really helped with narrowing down the option and providing independent advice with no extra cost. I am also very happy with the service that I am getting from the team at SEM Group. From the start of the process, I was approached by the sales person after I submitted my questionnaire through Solar Quote. Pete was very helpful and approachable. I was quite particular with my requirement on the PV system. I want a system with maximum power generation in limited roof space, and I also want the system to be ready for EV charging. Pete listen to my requirement and provided me several options which aligned with what I need. Once the quote was accepted, I was then dealing with the admin person which was also very polite and helpful. Last but not least, their installation team was also very professional. Again, they listen to my need and execute very nicely. I wanted the inverter to be in a specific spot and they made that happen. Another big positive note is on how the installers are being very neat and tidy with their work. They clean up after them self very well, which is not so common for majority of tradesman. In general, I am very happy with the team at SEM Group. They all listen to customer's need and execute in a very professional manner. Ohh, and their pricing is also the best among other quotes that I receive. Highly recommended solar installer. Recommendation from daughter and son-in-law. Also great sales reps and great manager. Down to earth and speak at our level. Addressed all concerns we raised. Good price overall very competitive. Reputation for good quality system. Please contact in 12 months and then we will be able to know whether or not, it is the best quality System. There was only one other company we were thinking of going with as they were local based in Darwin as well and have a good reputation. Loved the photos of our roof afterwards, it was nice see the investment for real. It seems that since the system has been installed SEM do not want to know me. I have asked them several questions and all I get is silence. Since installing the system my remote blinds were playing up. Franklyn came out to sort out issue and rang SEM to find out what frequency the inverter was on. The comment to me was that SEM 'were not helpful' and so they contacted the inverter direct. I also contacted them and again no reply. Prior to this I had asked a couple of questions and no reply to them either. So it seems once the system is installed they are not interested in their customers. Would not recommend them to anyone else. Since writing this review I have been contacted by SEM who advise me that their telephone lines were working, however, other communication systems via emails and text, which is was provided to them by a third party, had been down during the time I tried to communicate with them. They sincerely apologised for the lack of communication and have answered by questions to my satisfaction. They have also put a rectification into place to ensure that other consumers do not experience the same issues. I am therefore, happy to state that their follow up is most satisfactory and that I look forward to working with them and feel confident that they have fixed the issue. I have just received your message through SQ regarding our customer service department. We take all comments extremely seriously and will conduct a full investigation. We have an exceptionally good name on this platform and will do all in our power to change your current perception of our levels customer service. I have left you a message and sent you an email to discuss your concerns. From my initial investigation it seems your 2 emails re WIFI monitoring set up and understanding your solar production have not been answered as our CRM did not send the messages through. I will give you a call again to rectify your couple of queries. Went with SEM who was quick, efficient and very friendly, they also provided a very competitive quote.mJoss came to visit and provided great advice on how best to go about choosing the right panels, inverter and location of panels etc. The installation was quick and went smoothly. Some other companies did not come to visit and tried to get a deal over the phone. We received several Solar quotes from Solar installers early Dec, however, first impressions count. Si advised us of the types of Systems that they offer and explained the difference bewteen the systems. 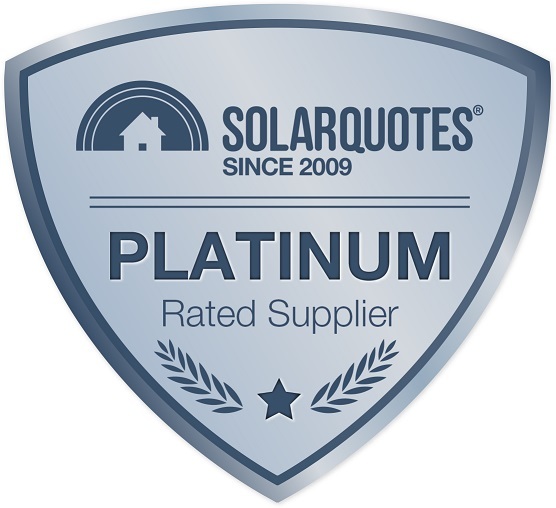 He did not pressure us, nor ask if we have had any other quotes, and, did not say a bad thing about other Solar installers. They may not have been the cheapest, but information we received was very well presented, knowledgable and all our questions were answered. Our decision was made easy to choose SEM Darwin. We were emailed our install date and kept informed by the admin staff throughout. The install team arrived on time as scheduled, asked if we had any questions prior and kept us informed throughout. They went about their duties professionally and at the end of the day site was left clean, a credit to the installers. Our Sales Rep Si was very helpful, nothing was an issue even when we got him to re quote 3 times as we kept changing our minds. Installation was a breeze and the guys were very professional at all stages of the process. I would highly recommend SEM Group in Darwin to anyone who is considering putting up Solar! We chose a larger system given our Electricity Account was just short of $5000 in the last 12 months. SEM was the only provider that enquired as to the level of usage and offered an option that was the biggest that we could install given our available power system of 1 phase. Also they were happy to install the Inverter inside the garage due to direct sun issues and install a timer for the hot water system. Others seemed to offer a vanilla offering of middle of the road system and cost. 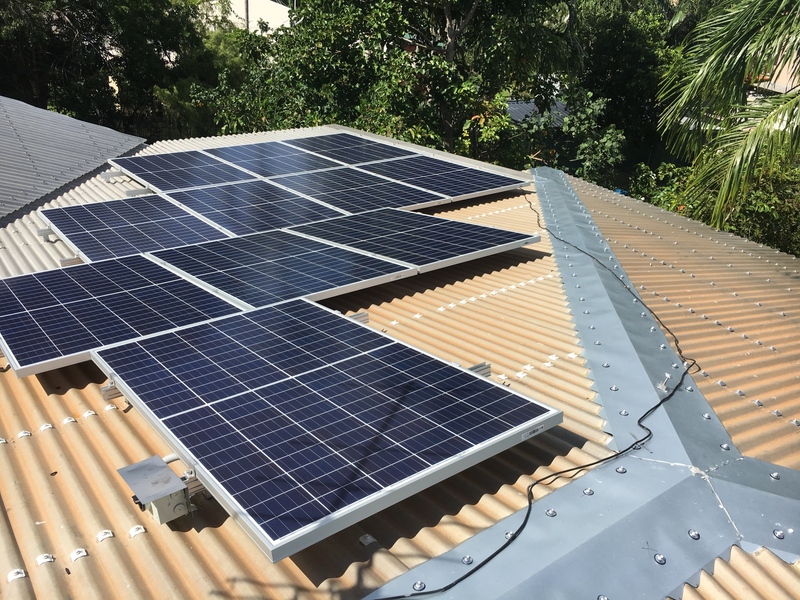 Process through to installation from SEM was great and very efficient and it was only that we had to wait 4 weeks for Energex to approve the size of the system and issue the EWP to our electricity provider (AGL) that was disappointing. There was a further let down when dealing with AGL and trying to get them to install the new smart meter. After 3 follow up calls and being told that connection would not be till 12 Jan 2019 we received a call to advise that the smart meter would be installed on 10 December 2018. That was better than I was expecting, but unfortunately their installer forgot to turn the hot water system back on. Three days later we received our new contract details as well. Of course we expected that we would get offered the current best offer from AGL of $0.20c feed in tariff, but alas our expectations were again demolished by their service. Another call to AGL to get this changed and all is now operating smoothly. Most thorough process from Pete the Sales Person at SEM. He was the only one that was keen to do a site visit and enquired as to what our current usage was and what we were looking for from a system. I was interstate when he did the site visit but he was more than happy to talk on the phone and answer numerous emails in detail. His estimates of performance also seem to be pretty accurate during the first month of use. The people at SEM Solar in Darwin NT were just great. Very efficient arrangement of appointment time to check out our house. They do all the necessary paper work for us (building department approvals, power company connection arrangements, arranging the federal rebate $, etc). From the initial contact to the service and back up after the install, I couldn't be happier with SEM Group. Pete was a wealth of knowledge who was able to answer every question and concern with excellent service, not to mention the great price! Jack and the boys were brilliant with the install and extremely helpful with showing me the ropes with both the system but also setting up the app for me. And also Kerrie in admin, who made the whole process a smooth as possible and even kept in contact with making sure things were sorted with my energy company. We had quotes from 2 suppliers and we would have been happy to go with either. SEM was slightly cheaper so that is who we went with. I was going with another but because of poor service as far as returning phone calls etc I contacted Sem Darwin and asked them to match their quote with LG panels and Solaredge inverter which they did so I then went with Sem Darwin and am very happy. Hi Finn, yes, in regard of quality of system. We hope it's good but it's hard to say only a few weeks after installation. My install is planned for next week, so I can tell you more then. Thank you for assisting me as much as you did, with the three suggested suppliers and the information provided.